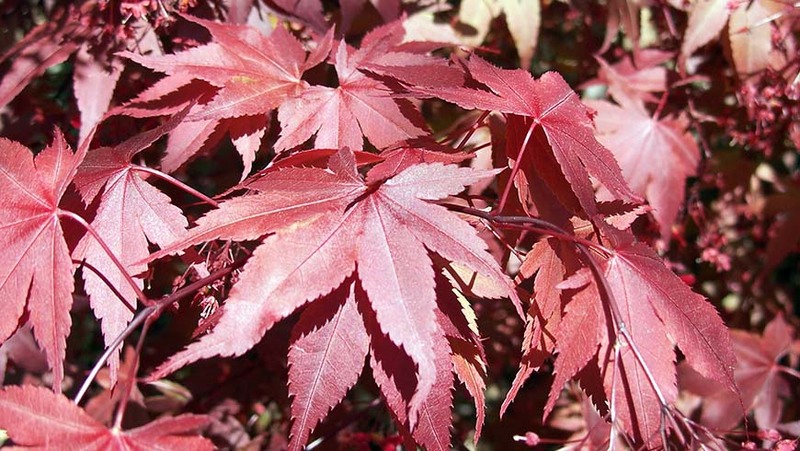 The JC Raulston Arboretum holds one of the best collections of Japanese maple (Acer palmatum) cultivars in the southeastern United States. There is a Japanese maple for everyone at the JCRA. Which is your favorite: purple-leaf, lace-leaf, upright, spreading, dwarf, or full sized? Japanese maples (Acer palmatum), noted for their small size and year-round elegance, are the perfect symbol for the Arboretum. Look around you. One of these four-season beauties can be spotted from any location you stand in the garden.